Our Nufree hair removal product is 90% soy and 10% antimicrobial, antifungal agents so its germ free. Nufree combines with the oil in the hair shaft to uproot the entire bulb and hair shaft. Ask your waxing specialist about our Finipil brand antiseptic aftercare cream! How long does my body hair need to be before I can get a wax? It should be at least 1/4 an inch long. What is a bikini wax vs a brazilian wax? 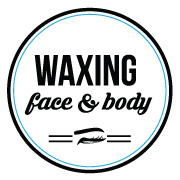 A bikini wax includes any body hair that lies outside of a traditionally cut bikini bottom. A brazilian would encompass the entire pubic area. Can I get a bikini / brazilian wax during my period? Unfortunately, due to sanitary regulations, we are unable to provide these services during that timeframe. How often do I need to get waxed? This is dependent on your personal growth cycle which ranges anywhere from 2 - 4 weeks. If you have any additional questions or concerns regarding products or services, please don't hesitate to contact us. Our friendly staff will help find the best solutions for you.